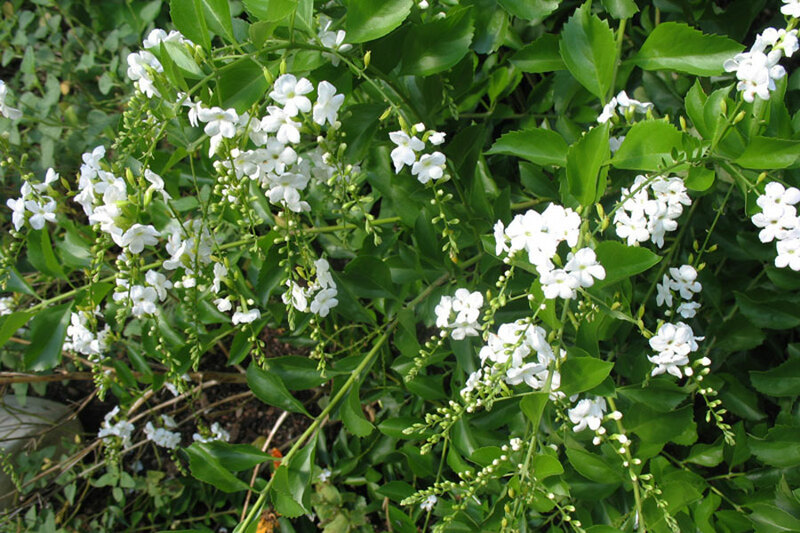 Note: A fast growing shrub, Duranta erecta ‘Alba’ can become a large shrub and pruning in spring or summer may be necessary to keep it in bounds. Cascading white flowers appear in late spring into fall. 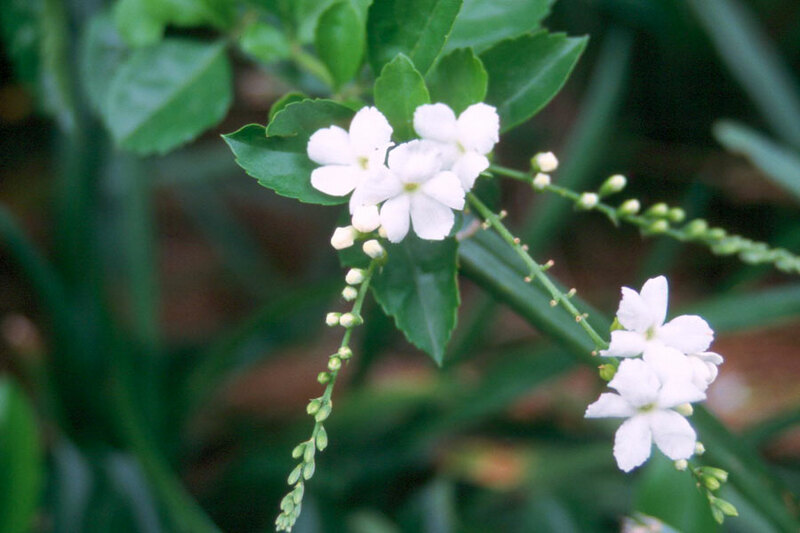 Fruit that turns yellow in late summer and fall and white flowers may be present at the same time. 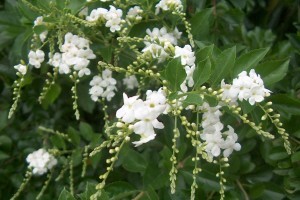 Fruit / flower: Cascading white flowers appear in late spring into autumn and fruit that turns yellow in late summer and autumn. Insects: To date I am finding it free of insects. I planted a firly large specimen in my back garden which is quite shaded. 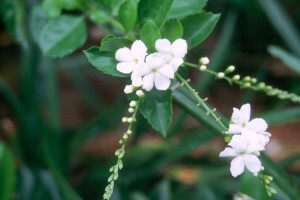 The good news is that it is thriving in this position and doing well and is rewarding me with a stunning display of the sweetest little sprays of white flowers all over. Really stunning! On the downside, it is quite “thorny”, so watch out if you plan to plant this that you plant in away from a high traffic area.